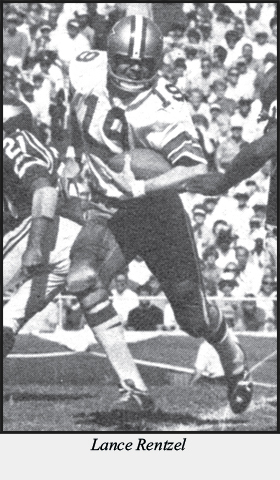 A former amateur football player, author Danny Jones has watched all NFL and AFL games on TV in the 60’s and 70’s. In 1970, when the AFL and NFL merged to become one league, he watched every game on TV during the 70’s. Now he has compiled 26 great football players- legends who were the superstars of the NFL and AFL during the glorious 60’s and the fun-loving 70’s. In Distant Memories, Jones chronicles the careers of 26 football players and gives you a glimpse back at their best seasons, longest touchdowns, and the big plays of their illustrious careers. All of these players had caliber Hall of Fame talent and most of them should be in Canton, Ohio. These athletes were as talented and good as anybody who played their position. They were some of the most exciting players to ever play the game. Distant Memories is more than just statistics and numbers, it gives you insight on a player’s style, personality, and character growth. These legendary heroes and mavericks provided excitement and happiness to millions of fans across America. The author hopes as you go down memory lane, these lost treasures will never be forgotten. Distant Memories: The NFL’s Best Ever Players of the 60’s and 70’s is much more than a book about pro football. It’s about a dying breed of heroes from a disappearing era- a vibrant, funny and telling history of a period of time that seems even further away than it actually is. Danny Jones has crafted an engaging, informative and in-the-trenches look at a group of legendary players from the 60’s and 70’s, as well as an up-close look at the teams they played for. And in so doing, he’s woven these characters and stories together in such a way as to perfectly capture a bygone era of sports, when football began to replace baseball as our national pastime. Distant Memories is a good book for bedtime reading, easy to pick up where you left off and very entertaining even if you are not into sports. And for those die-hard sports fans, Jones’ personal stories provide a keen insight into the mind of the athlete, as these players try to dissect how and why they did what they did so well. This is a book about players from another generation, and it’s refreshing to remember what the game was like before the post-strike, post-lockout, post-multimillion-dollar contract cynicism that’s so rampant today. And yet Distant Memories is surprisingly current. It’s still fascinating to get a glimpse of the sacrifices that athletes make to entertain us, and even more fascinating to see the humanity behind the facemasks.